The City of Elyria, Ohio has issued a permit to Lorain County Community College to discharge storm water from campus property to the municipal storm water system. The College is required to develop and implement a storm water management plan. This plan is designed to reduce the discharge of pollutants into the storm water system to the extent possible to protect water quality. The College offers many educational opportunities to students and the general public regarding water quality issues and precautions they may take to avoid polluting storm water. Producing an Informational brochure to introduce the campus and public to principles of storm water management and what they can do to contribute. The brochure will be distributed campus-wide in both credit and non-credit classes, to faculty and staff and in public areas. Internet: a storm water management component will be on a college web page and will include general information and measures in place to prevent pollution. Training: General information will be included in future new employee orientations. Additional formal training is provided to staff in departments where their activities directly impact storm water quality. Records of training will be kept on file. Areas included in the Operations and Maintenance BMP’s are Physical Plant Maintenance and Grounds. The staff in these areas has received initial training on BMP’s when first established. BMP’s are updated as needed and reviewed with staff when changes are made or for new employees. The Manager of Physical Plant Services keeps operational practices tracked through the work order system and hard copies are kept on file. PM work orders are issued periodically for cleaning and inspections of control elements. The Director of Physical Operations and Construction sits on the City of Elyria Storm Water Quality Advisory Board. The Physical Plant work order system and main Physical Plant hotline telephone number is used to report issues. Construction activities are managed by the Director of Plant Operations and Construction. 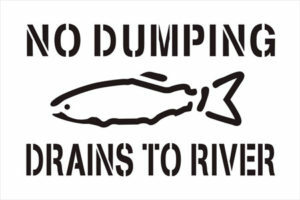 Storm Water Pollution Prevention Plan (SWPPP) measures are required as needed. The College has designated the Director of Plant Operations and Construction as the primary storm water contact person. The Director has the authority and ability to recommend appropriate storm water initiatives and practices and oversee the Management Program. Student teaching/training is conducted within the Division of Math and Science. A policy and procedure is being developed to prohibit discharges and Connections to the Storm Water Sewer System and will be adopted by the College. The College has identified no illicit connections to the storm water sewer system. Soil and erosion control from construction activities in managed through the following: The Ohio EPA and city officials require Storm Water Pollution Prevention Plans and permits: SWPPP permits for construction activities. The college, through its bidding procedures, requires all contractors to follow any and all state, county and local governmental requirements. The Director of Plant Operations and Construction and the project architects periodically review SWPPP measures during the course of work. A policy and procedure for Storm water Control during Construction will be developed. Projects performed under a SWPPP are required to include post-construction BMP’s to control possible pollutants in storm water after construction. The Director of Plant Operations and Construction and the project architects works with contractors to ensure post-construction activities are completed. Lorain County Community College has reviewed campus operations that may impact storm water quality and has developed and implemented an operation and maintenance manual in the form of department best management practices (BMP’s) to reduce and prevent discharge of pollutants to the storm water system. Campus Services and Physical Plant Staff monitor parking lots and roadways for possible leaks or spills and reports them immediately and deploys containment measures. If needed a clean-up contractor is contacted to take appropriate steps and notifications.